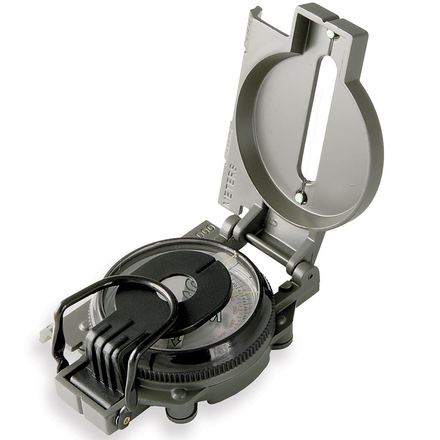 The 9077 Compass from Brunton is a classic military-style lensatic sighting compass with two-degree gradations. The compass offers heavy-duty construction for field use and a long-straight side that allows for ease of use with a map. The liquid dampened compass features luminous points and a hinge that works with your thumb to steady your sighting and hold the lid tightly closed. Built to last, the compass carries a limited lifetime warranty from Brunton.